This manual will guide you through the steps necessary to deploy Cloud Foundry using Terraform on Amazon Web Services. A tremendous amount of automation has been put in place to allow you to quickly deploy Cloud Foundry in an easy and repeatable way. 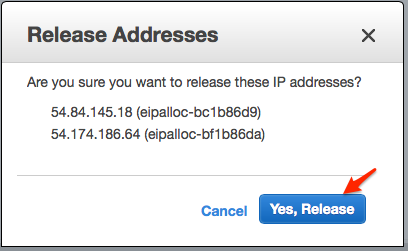 If you know your AWS access key credentials, skip straight to "Install Terraform"
If you already know your AWS credentials (access_key_id and secret_access_key, which are not the same as your AWS login and password) you can skip this step. Then select “Create New Access Key”. If there are already keys created you may want to stop and consult someone in your organization to obtain the access_key_id and secret_access_key as there is a limit of 2 sets of Access Keys which can exist. You will be prompted to download the security file as a csv. DO THIS! You cannot retrieve the aws secret key once the screen is closed. Document the access_key_id and secret_access_key somewhere privately and securely within your organization and keep these safe, these are the only two pieces of information needed to consume AWS resources by fraudsters. 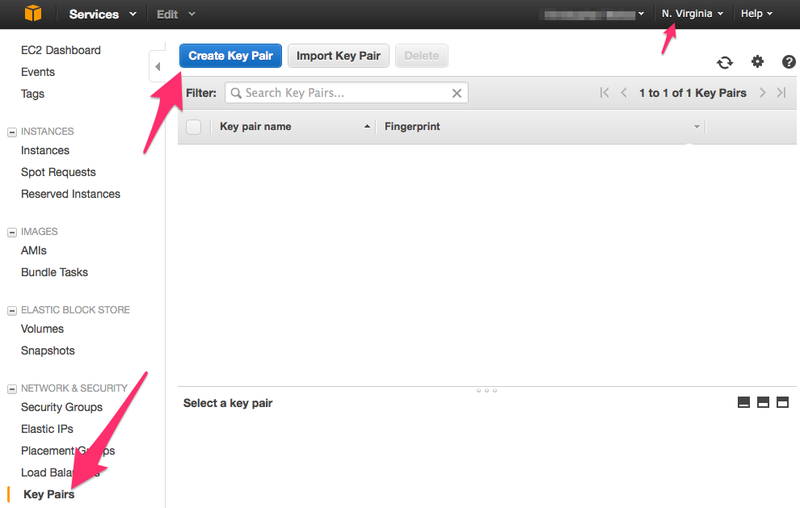 If you already have a Key Pair created you can skip creating a new key pair. Now that we have our AWS keys we can supply these values to Terraform to deploy Cloud Foundry. 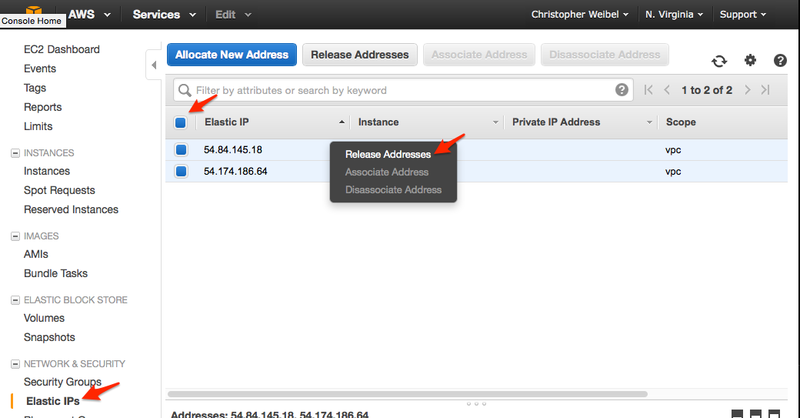 Using the AWS Access and Secret Keys as well as the location of the ssh key we now have all the information needed for Terrafrom to deploy Cloud Foundry. We need to supply this information to Terraform by editing the terrafrom.tfvars file. Go get something to drink. 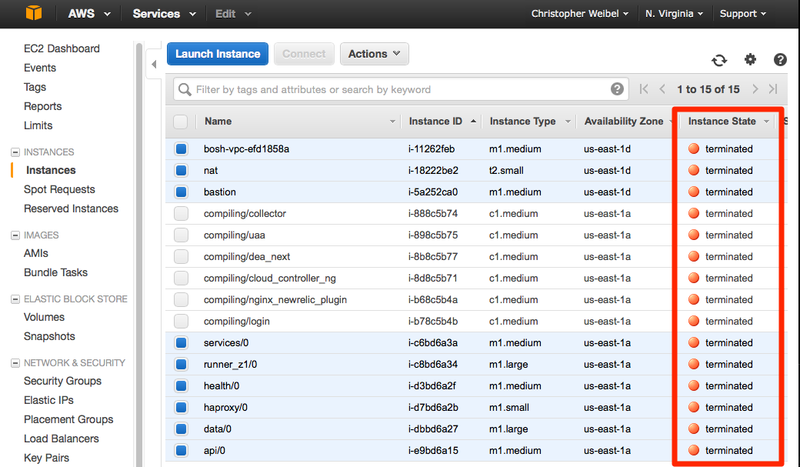 It will take about an hour to deploy everything to AWS. Don’t panic if an error occurs during “make apply”, run the command again as AWS resources aren’t always available when requested. Apply complete! Resources: 9 added, 2 changed, 0 destroyed. use the 'terraform show' command. The three fields which we will need to connect to Cloud Foundry and the Bastion server have been noted above. Now that we have Cloud Foundry deployed to AWS let’s deploy some services which the Cloud Foundry applications can consume, such as PostgreSQL and Redis. 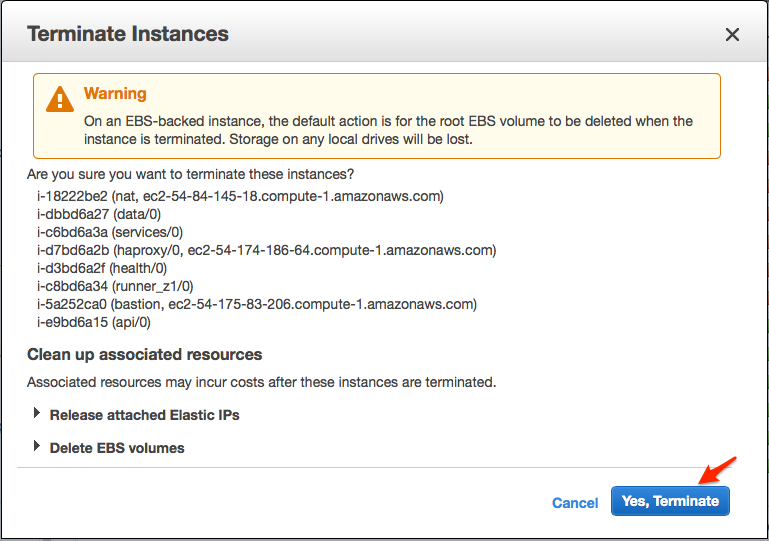 The following screen shots assume that you had a fresh/unused AWS environment as we will be removing all resources that will incur costs to AWS. 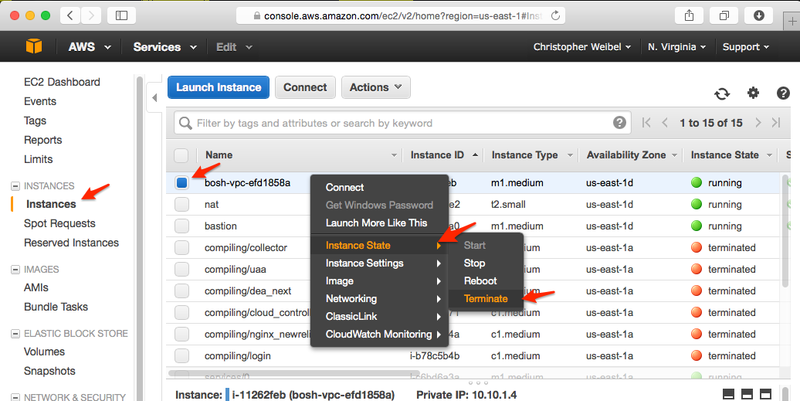 We will start with Instances first, begin by selecting “Instances” and finding the instance named “bosh-vpc-” and check the box, right click and select “Instance State” > “Terminate”. It is important to kill the bosh server first so other Cloud Foundry servers aren’t created while you are tearing down the rest of the servers. Now that the Bosh server has been terminated, select the rest of the servers by checking the box to the left of the instance Name, right click and select “Instance State” > “Terminate”. 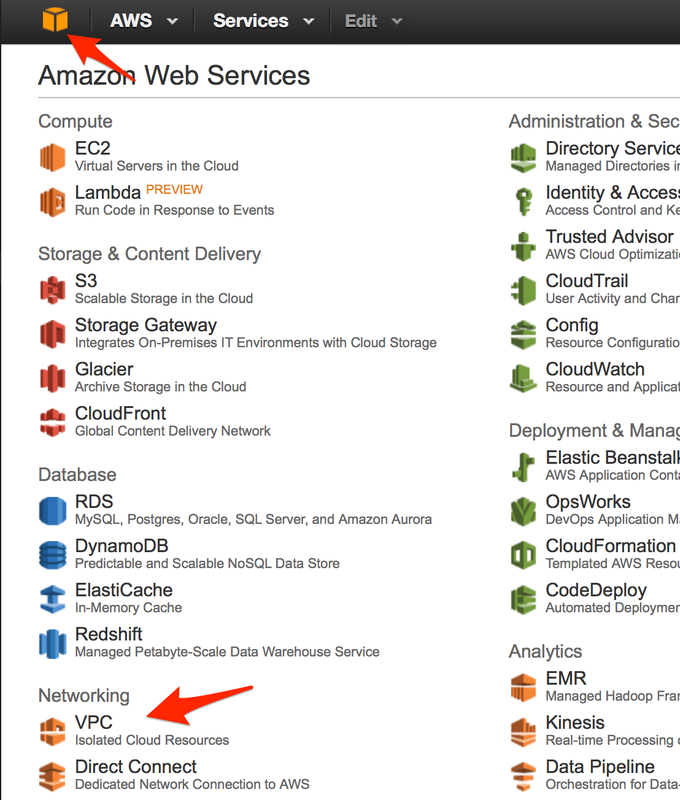 VPCs are located in a different part of the AWS Console. 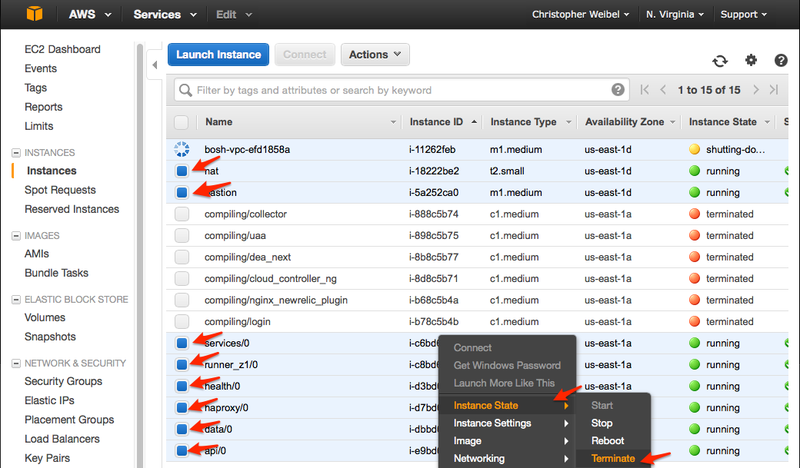 Now that the servers have been terminated, on the left pane to “Elastic Block Store” > “Volumes”. 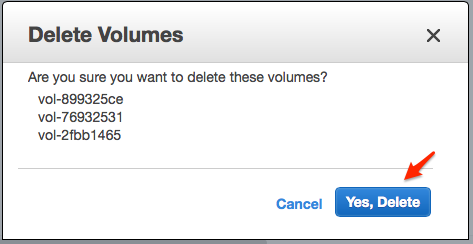 Select all of the volumes by checking the box to the left of the volume Name, right click and select “Delete Volumes”. If you would like to deploy Cloud Foundry using this account, repeat Exercise #2 and when done, Exercise #4.